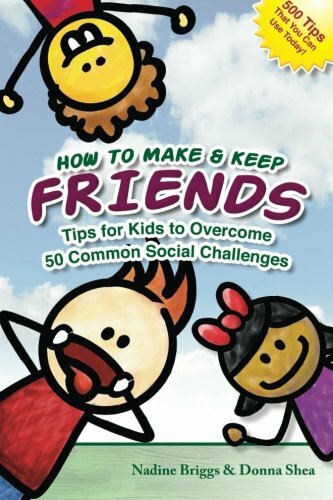 Book Review: “How to make and keep friends: Tips for Kids to Overcome 50 Common Social Challenges"
This is an awesome book! It covers 50 social situations and gives ten tips for how to manage each situation successfully. The authors cover a lot of social situations, such as how to join a group or managing conversation challenges. My favorite section is probably the tips for being a good friend, where they give common sense strategies for being a good play date guest, or good play date host and how to handle varying house rules. It's a super quick read and great for both kids and adults. You can look up which specific situation you are faced with, and you can flip right to that section. I highly recommend it! Nadine and Donna also have published another book “How to make and Keep Friends: Coaching Children for Social Success”. This is a book geared towards parents and professionals who work with kids who are struggling socially.